The words content and content marketing have been tossed around a lot lately, becoming marketing buzzwords almost overnight. But while much has been said about how to create content and on which channels to send it out, few instances have looked at the whole content-nurturing process. Attendees will learn the keys to a carrying out an educational content marketing plan. Through the plan, you'll learn how to increase qualified leads and nurture those leads throughout a guided course of engagement with the firm's specialties and services, using educational opportunities to soft-sell outcomes -- all while positioning the firm as a thought leader. Visuals resonate with people, and using graphics as well-thought-out ways to convey or enhance your message is key to keeping your audience engaged. You don't have to be a graphic designer to use graphics effectively in proposals—all you need is a little creativity. Let's face it, nobody looks at a proposal and says, “Yay, it's all words!” Yet most of the time we use pages and pages of text or wordy bullets and wonder why our message gets lost. Visuals resonate with people, and using graphics as well-thought-out ways to convey or enhance your message is key to keeping your audience engaged. You don't have to be a graphic designer to use graphics effectively in proposals—all you need is a little creativity. From tag lines and photos, to charts and infographics, this session will examine the graphic tools available to create better materials. Using real-world examples, we'll explore creative alternatives to traditional text and bullet points and cover tips and tricks for those with no graphic-design help. Instructor: Matthew Handal, Manager - Business Development, Trauner Consulting Services, Inc.
Do you wake up in the morning with a smile because today is the day you get to write a proposal? If you answered no, that's because you are normal. Many people find proposal writing difficult, tiresome, frustrating, or even annoying. But is doesn't have to be. Instead of focusing on the little details (like capitalization and comma placement), this session will zero in on the big wins. You'll learn tricks, formulas, and tactics that will make creating a winning proposal far easier and less time consuming. By the end, you'll know how to easily craft compelling copy that your clients' eyes will be glued to. Matt Handal was a marketer submitting boilerplate proposals and materials that were indistinguishable from his competitors. He had no idea how to convince new clients to buy his firm's services. And worst of all, nobody would listen to him. One day, he stumbled upon some academic research on how people really make decisions. Since then, he has helped his firm win new assignments, convinced government clients to give his firm sole source contracts, written one of the most popular books about proposal writing, and flown across the country to teach clients how to apply Mind Marketing to their business. Like the coach who's determined to win Sunday's game, your proposal efforts need a game plan and a strategy for winning. This practical program will give you a guided five-step process that will make your proposal laser-focused on your client's needs and priorities. Like the coach who's determined to win Sunday's game, your proposal efforts need a game plan and a strategy for winning. This practical program will give you a guided five-step process that will make your proposal laser-focused on your client's needs and priorities. It will highlight the traits of the firm they're looking to hire and let you stand out from the huge pile of competitors' 'me-too' proposals. Do you want to drive up your hit rate and win more projects? This program is where to begin. Does your firm suffer from low open and click-through rates for your email blasts? Do you receive a high number of unsubscribes with every email you send out, even emails sent specifically to clients? Or does your firm not even rely on email as a primary channel of communication? On Tuesday, November 17, join us for a live webinar with presentation and training guru Susan Murphy. In her webinar, "Do This. It Works: Your Step-by-Step Guide to Authentic and Effective Presentation Skills," Murphy will take you through a step-by-step practice of the intellectual and physical skills necessary to make a great presentation. Whether you're explaining a plan to your coworker, showing a strategic plan to the partners, or presenting a proposal to a client, what you say and how you say it are vital. This program shows you exactly how to get the results you need. Don't miss this engaging and informative webinar. Take advantage of this amazing opportunity to learn from one of the A/E/C industry's best trainers and coaches. Susan Murphy's career began in travel industry marketing, which led to her position as Club Med Travel Industry marketing director. She then joined Communispond, where she coached presentation and selling skills to Fortune 500 companies. Five years later, Murphy Motivation and Training was born. She uses irreverence and humor to transform professionals into competent presenters. The A/E/C world discovered her when she spoke at an SMPS conference in Boston many years ago. Since then, she has helped A/E/C professionals hone their communication and interview skills. Marketing Automation: What Is It? Do I Need It? How Do I Start? Don't get stuck in the daily grind and miss the next big thing—marketing automation. By marketing effectively, you'll save time, money, and resources. Best part: marketing automation is the ideal solution for nurturing leads over the multi-year sales cycle found in the A/E/C industry. During the webinar, we'll start at the beginning—What is marketing automation and what can it do? You'll also learn how to decide if it's right for your firm and how to implement the best program. Don't get stuck in the daily grind and miss the next big thing—marketing automation. By marketing effectively, you'll save time, money, and resources. Best part: marketing automation is the ideal solution for nurturing leads over the multi-year sales cycle found in the A/E/C industry. During the webinar, we'll start at the beginning—What is marketing automation and what can it do? You'll also learn how to decide if it's right for your firm and how to implement the best program. Perryn Olson has experience working in many industries, and in particular A/E/C. He speaks regularly at professional conferences around the country, and has written extensively for construction industry publications. In 2014, he published his first book, Construction Executive's Guide to Brand Marketing. Based in New Orleans, he is president of SMPS Southeast Louisiana, past co-chair of SMPS Southern Regional Conference, and past president of Executive Connections, a business networking organization in New Orleans. In 2013, he was named one of Engineering News-Record's 20 Under 40 in Texas and Louisiana. Do you ever feel like you have to battle within your company to show how valuable marketing is or to gain dollars for your budget? Does your organization sometimes have more of a sales mindset than a marketing culture? If you spend time or energy thinking about how you have to market to your company about the value of marketing, this webinar is for you. You know sales and marketing are different with unique goals and approaches. But not everyone in our industry understands how critical real marketing is. Showing your leaders how marketing generates growth will change the game for you and your company. Develop strategies to create the ideal message for the ideal message for the ideal market at the ideal time through a process-driven approach. Join us for this must-see webinar to instill a growth-oriented marketing culture that engages prospects, customers, and internal stakeholders... And helps you receive the respect (and budget!) you deserve. The steady rise in the economy has caused a stir within the A/E/C industry landscape for marketing professionals. How do you differentiate your skills and demonstrate your value in this highly competitive landscape? Knowing about and implementing a strategic plan is a critical ingredient in keeping forward momentum in your career path—regardless of where you are in your profession. This webinar on developing strategic plans will summarize the critical decision-making process, examine how to interpret research and define a process for crafting a workable plan that gains consensus among peers, and achieve buy-in from company executives. Together, we will break down the process, demystify the concepts, and provide usable tools for implementation back at the office. The steady rise in the economy has caused a stir within the A/E/C industry landscape for marketing professionals. How do you differentiate your skills and demonstrate your value in this highly competitive landscape? Knowing about and implementing a strategic plan is a critical ingredient in keeping forward momentum in your career path—regardless of where you are in your profession. This webinar on developing strategic plans will summarize the critical decision-making process, examine how to interpret research and define a process for crafting a workable plan that gains consensus among peers, and achieve buy-in from company executives. Together, we will break down the process, demystify the concepts, and provide useable tools for implementation back at the office. All marketers should have the skills and confidence to build a plan, incorporate it into the marketing workflow, and gauge its success. This webinar will create a roadmap to show how to make yourself a valuable contributor to the process. Gain a comprehensive understanding of the elements, variety of applications, and purpose of a strategic plan to incorporate in the planning process. Learn a variety of tools available to apply the knowledge gained on a micro and macro level within their firms. Develop a roadmap and learn specific tactics to insert yourself in the process and be seen as a valuable contributor. Gain the knowledge to determine the starting point for developing a strategic planning approach for your firm's activities. Ashley Dale, CPSM, CIT is a marketing and business development professional more than 17 years of A/E/C industry experience. Recognized for industry leadership, communication and relationship-building, Dale has expertise with project opportunity identification, pursuit strategy, client relationship expansion, proposal development and writing, firm promotion, strategic planning and comprehensive MarCom efforts. As the owner of DB Consulting, a strategic marketing consulting firm, Dale continues to work with a variety of firm types, sizes and concentrations providing a range of services from branding to design; proposals to communications; market research to strategic planning and everything in between. DB Consulting is focused on providing services related to "all things marketing" to professional service firms. Erik Grandowski, CPSM is a principal and director of marketing and communications for Pond & Company, an Atlanta-based ENR 500 firm with domestic and international offices. Over the past 25 years, Grandowski has drawn upon his rich background in architecture, theatrical design, graphic design, marketing and communications to create solutions that foster brand awareness, win projects, and position companies above their competitors. His passion is collaborating with architects, engineers, marketers, seller-doers, and business developers to improve their skills in strategic marketing, cultivating clients, presentations and communications. To support Pond & Company's 300+ architects, engineers and planners, Erik directs a vibrant staff of 14 marketers, business developers and creative professionals. 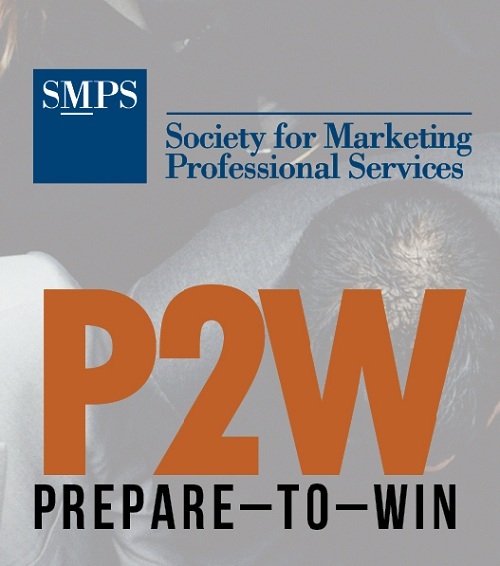 He is also an active speaker within the SMPS and ACEC communities, presenting on topics such as Finding Your Firm's Strategic Angle, Building a Winning Marketing Team, Seller-Doer Training Essentials, and Achieving Success by Becoming Your Clients' First Choice.